There are a few products I've come across that play an important role in the Paleo/Primal kitchen. I have made some of them from scratch in the past, but often there simply isn't time and having acceptable substitutes for the real, homemade product is important. 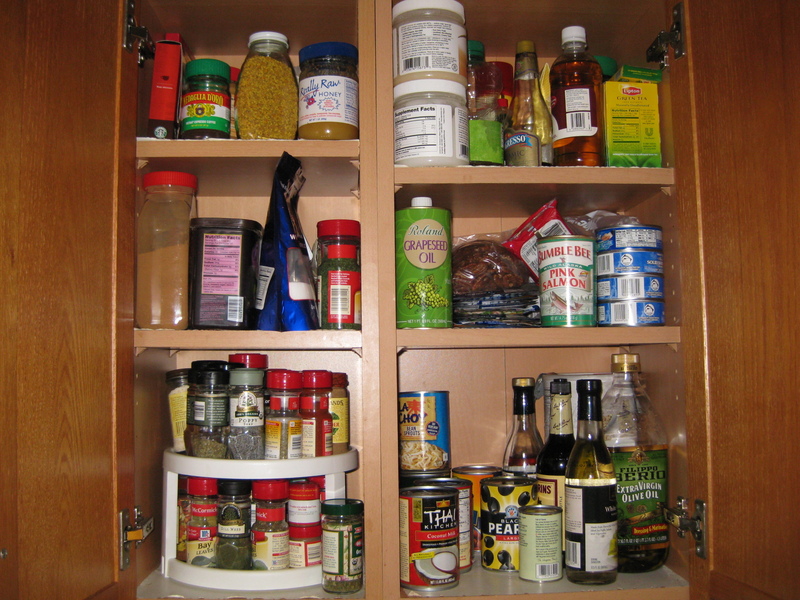 My cabinets contain a Lazy Susan filled with spices like thyme, rosemary, cumin, paprika, chili powder, cloves, cinnamon, dutch cocoa powder, coriander, sea salt, and the standard onion and garlic powder; bottles of apple cider vinegar and balsamic vinegar for salad dressings; olive oil and coconut oil; various teas and coffee; cans of coconut milk (Thai Kitchen is pictured, but Native Forest brand is better – the cans are BPA-free); cans of tomatoes and organic tomato paste (best if you can make these, but cans are good in a pinch); and canned wild salmon (the consistency of farmed salmon makes it impossible to can, so if you prefer wild-caught, canned is a reliable and inexpensive source for fish patties), canned tuna, and sardines (an excellent source of Omega-3s). I also have bee pollen and honey in there – Bee Pollen because it looked cool, and honey to use sparingly when I bake gluten-free treats for special occasions. Whether honey contains the “right” kind of sugar (glucose vs. fructose debate), I like raw, unpasteurized honey because it's full of beneficial enzymes and, in my opinion, exists above the simple sugar debate. You can also wash your face with it! I wouldn't know where to put the cereal (if I owned any). Look for these coconut products – coconut is an excellent source of healthy fats. 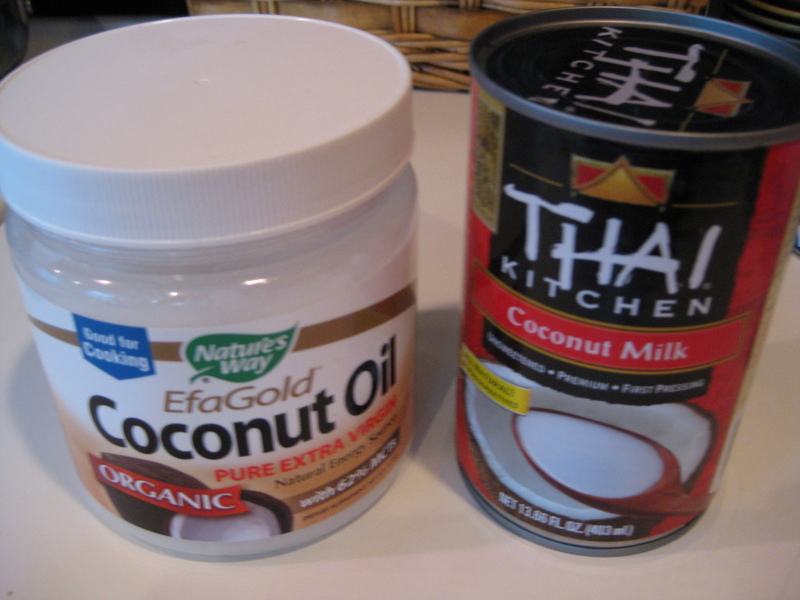 Google “medium-chain triglycerides.” Again, Native Forest is best for canned coconut milk as the cans are BPA-free. You could also make your own. Vegetable Broth – If you look at the ingredients in your store-bought broth, there are often a disturbing number of un-pronounce-ables. Some, I noticed, even contained gluten! 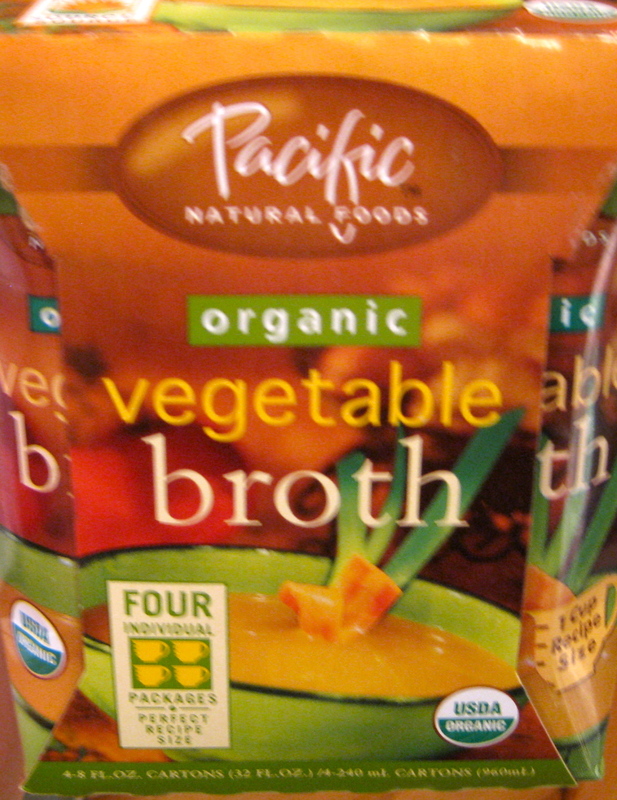 This Pacific Natural Foods vegetable broth is delicious and nothing but organic veggies and spices. Again, homemade bone broth is infinitely better, but this is good in a pinch. Trader Joe's has been under fire for some practices regarding the fish it carries, and I'm not totally clear whether the issue has been resolved. For your general seafood choices, the Monterey Bay Aquarium Seafood Watch can be helpful. 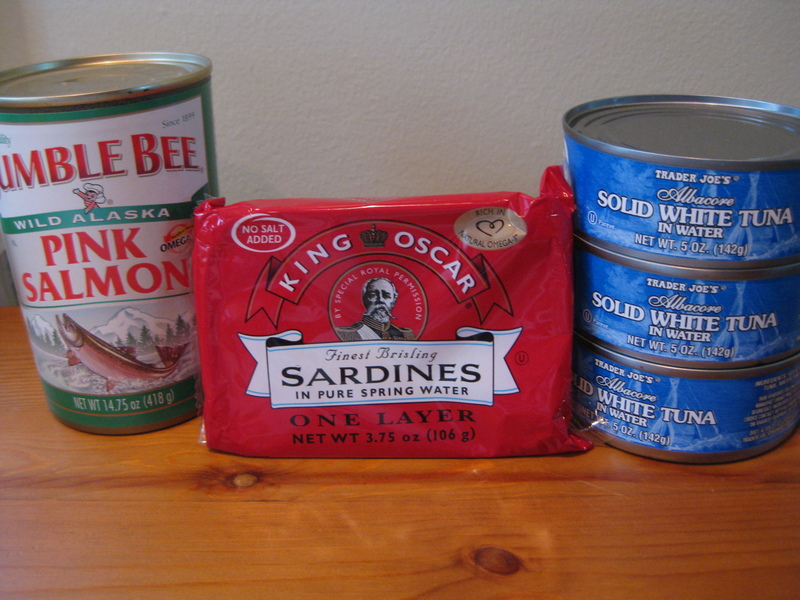 I like Trader Joe's or Wild Planet canned tuna because it's free of “broth” and un-pronounceables. I adore my cast-iron skillet. I try not to use my non-stick pans too much as I'm unsure of the long-term effects of the chemicals they're coated with. 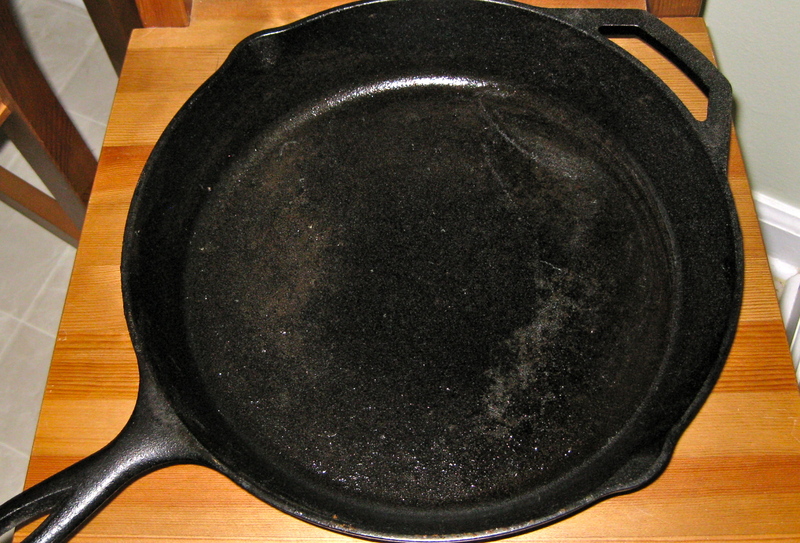 See post: Cast Your Vote for Cast Iron and a fun write-up on seasoning your cast iron. It's also important to have snacks for those rare occasions where you're on the road or at an event that's not optimal-nutrition-friendly. (Don't worry about looking like a food snob. This isn't about anyone but you, and you're free to choose this path.) 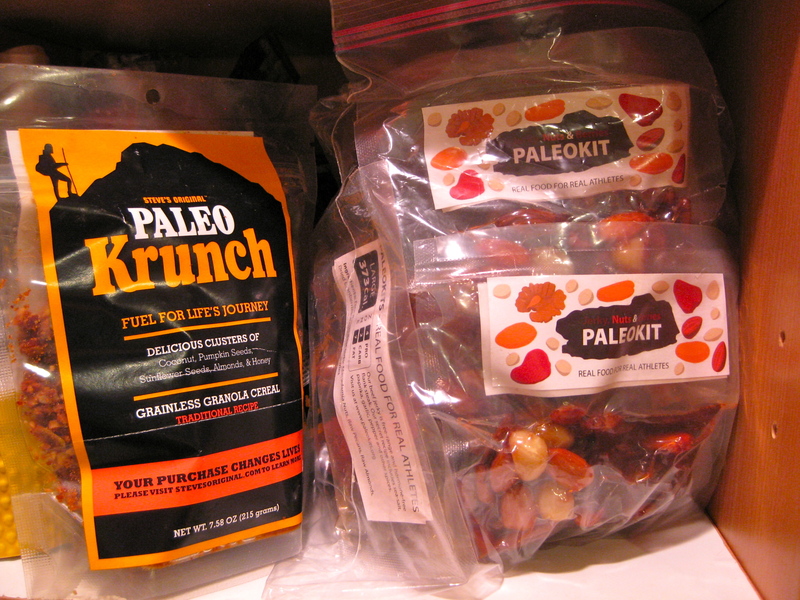 I love Paleo Kits – delicious beef jerky, nuts, and some dried fruit all supporting Crossfit for at-risk youth. They are great as snacks OR filling meals, and cost no more than a fast-food lunch. Paleo Krunch is a delicious, crunchy nut-based treat with a touch of honey. Delicious with berries and a splash of coconut milk. 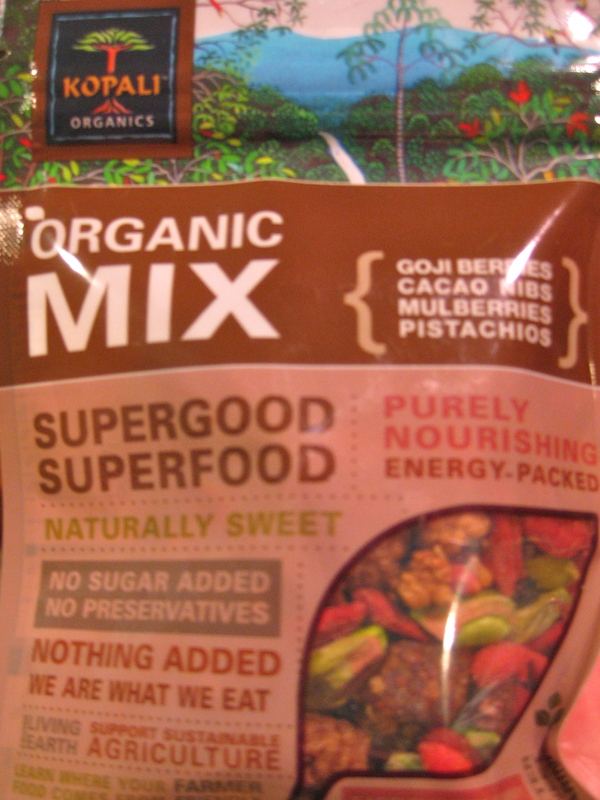 The cacao nibs, dried Goji berries, and pistachios in this Kopali mix are great to munch on in a movie. When you have these staples on hand, you can create all manner of Paleo deliciousness!